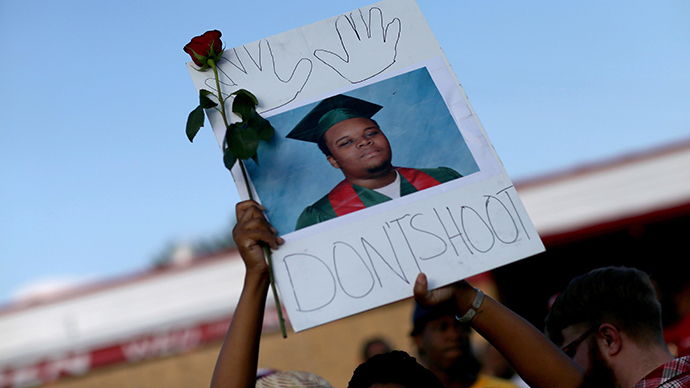 The family of Michael Brown, the unarmed 18-year-old who was shot and killed by a police officer in Ferguson, Missouri last Saturday, held a press conference Monday morning to discuss the preliminary autopsy and the number of bullets fired at their son. The Brown family hired renowned forensic pathologist Dr. Michael M. Baden to conduct a second postmortem analysis on their son. The preliminary report, released to the New York Times Sunday night, shows that the unarmed teenager was shot at least six times, including twice in the head, while four shots hit his right arm. Any shots that missed the deceased would not have been able to be counted during the examination. The number of shots fired “could have been answered on day one [by the Ferguson Police Department] if you really wanted to have transparency as the objective,” Crump said, referring to Baden’s initial conclusions. 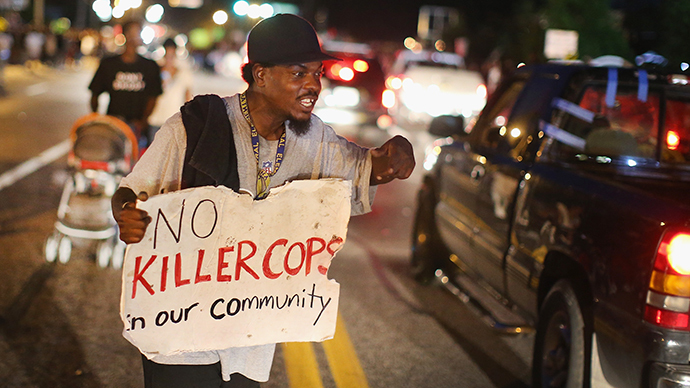 “What does this preliminary autopsy tell us? 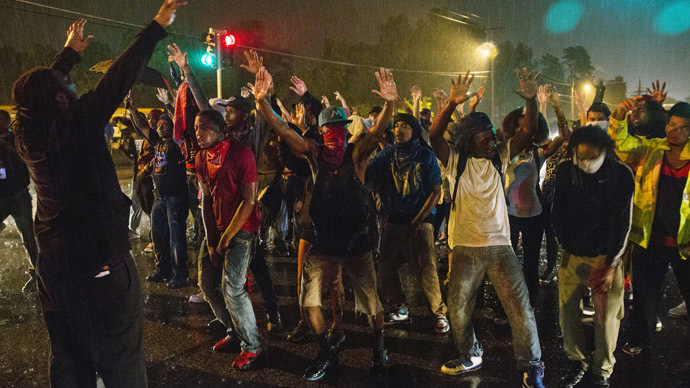 It verifies that the witness accounts were true,” the civil rights attorney added. “That he was shot multiple times and it's going to be one of those things that we have to get all the witness statements out and look at all the autopsies, all the evidence, to put this picture together.” The report also agrees with witness accounts that Brown’s hands were up when he died, Crump said. 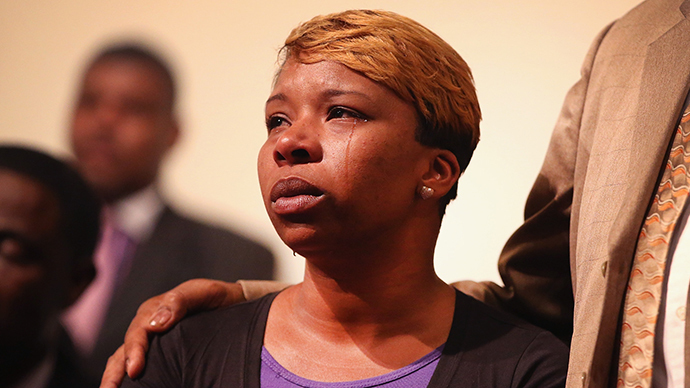 “What else do we need to give them to arrest the killer of my child?” Crump quoted Lesley McSpadden, Brown’s mother, as saying. The Ferguson police officer who shot Brown was identified by the department on Friday as Darren Wilson, a six-year veteran of the force. Wilson, like 49 other members of the city’s 53-member police force, is white. Baden, the former chief medical examiner for the City of New York who was hired by the Brown family to conduct the autopsy, decried the lack of information coming from the St. Louis authorities conducting the investigation. “What we found in New York City was that the sooner the information went out… this calms community concerns about a coverup,” he said. “How many bullet wounds and ‘did my loved one suffer’ can be answered on day one,” Baden added. United States Attorney General Eric Holder on Sunday ordered a separate federal autopsy to be performed on the 18-year-old, which Baden applauded. The DOJ is looking into possible civil rights violations amid what protesters call a “breakdown of trust” between the local community and the authorities. Under this cloud of suspicion, dozens of agents from the Federal Bureau of Investigation are reportedly probing the incident and interviewing witnesses. Baden blamed the police department for not releasing the medical examiner’s initial report, and praised her as being highly respected in the field. 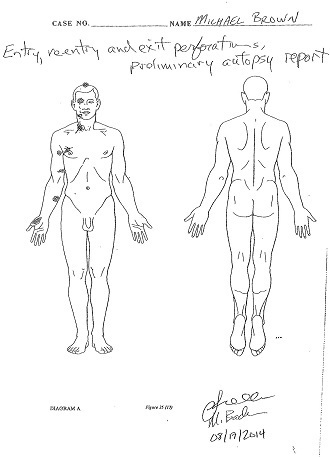 Prof. Shawn Parcells, forensics pathologist assistant, said that the wounds marked with an ‘X’ were possible re-entry wounds, but cautioned that he and Baden will have to compare their conclusions with those of the first autopsy, conducted by the St. Louis forensic pathologist. The arm wounds could have been when Brown either held his hands up or was holding his arms in a defensive position, Parcells added. There is no gunshot residue on the skin, meaning that the gun muzzle was at least one foot away. They will not be able to calculate how far away the officer was until they are able to look at Brown’s clothes, Baden said. Prosecutors may not want information released in a high-profile case like this, Baden said, but he believes that withholding information is not productive in calming the community. 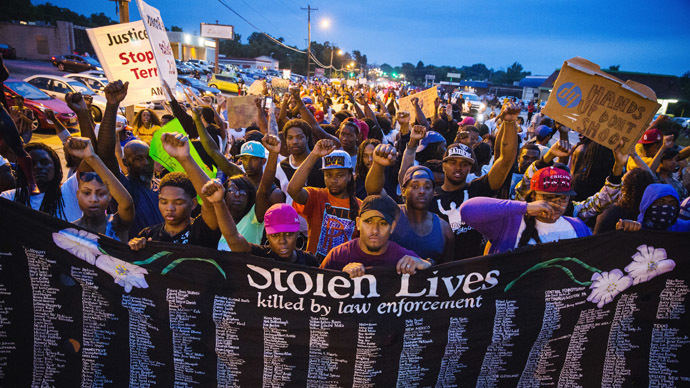 People in Ferguson have been protesting since Brown’s death, and those demonstrations have grown to include calls against excessive force by local police. 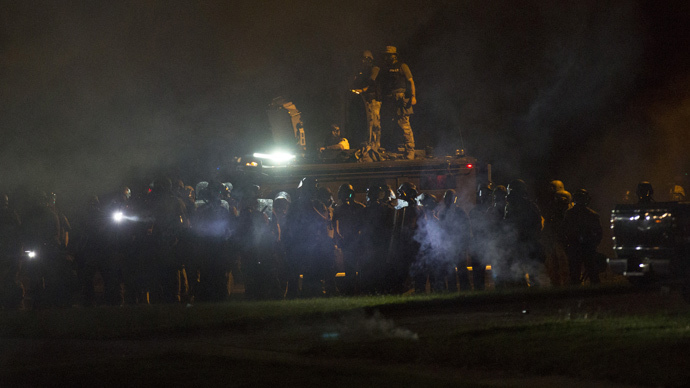 On Sunday, authorities fired tear gas at protesters who refused to disperse before the midnight curfew mandated by Gov. Jay Nixon (D-Mo.). One person was shot and was listed in critical condition and seven people were arrested during Saturday’s Ferguson protest. There were no signs of a struggle, according to Baden, but the family has also asked for the medical records of the officer to confirm that conclusion. There were abrasions on Brown’s face, which the forensic pathologist believes occurred when the teenager fell to the ground after being shot in the head. All of the gunshot wounds were survivable, except the one through the top of his head, which entered into his brain, Baden said.